Do you want exclusive access to high quality commercial real estate projects? Do you know the difference in public and private markets when it comes to commercial real estate? Access private property market from comfort of your home or office: Retail and Institutional clients can now have same level of access to opportunities typically reserved for "inside the club" players. R2 principals and it's professionals have decades of experience in the Real Estate Industry and have used their network to create Canada's only national real estate property portal allowing you the opportunity to build a custom portfolio based on your personal risk and reward appetite, Diversified across geography and asset type. To learn more, visit our FAQ page and signup to learn how projects are structured.  Unlike many other platforms that are co-owned by a major developer, R2 is sponsor agnostic in its operations. That means we can offer you projects from sponsors across Canada and you aren't tied to a single owner or developer. Every project and sponsor on our platform is checked, verified, and underwritten to ensure only the best make the cut. One of the biggest benefits of using R2 technology is that a customer can connect with property developers in a very quick and efficient manner. Our encrypted online platform uses similar state-of-the-art security employed by leading banking institutions. From drone videos to reviewing building condition reports, it all can be done seamlessly on our portal. Principals of R2, through their past employment at large FI's such as CIBC, BMO, RBC & JLL have financed billions of dollars in real estate and have well established relationships with Industry consultants such as Appraisal, Environmental, Building Engineers, Lawyers, Financial Institutions, Title insurance and Payment firms that are well recognized by industry practitioners. These relationships allow us to bring wealth of knowledge at your doorsteps.